Two generations of a Hui family in Ningxia have made it their goal to protect this ancient structure, by living in a cave house at the foot of the former city fortress. A tower once stood on top of the southern gate of Xiamaguan, where American journalist Edgar Snow interviewed general Xu Haidong in 1936. A popular Chinese saying goes: "If one man guards the pass, ten thousand won't be able to get through." 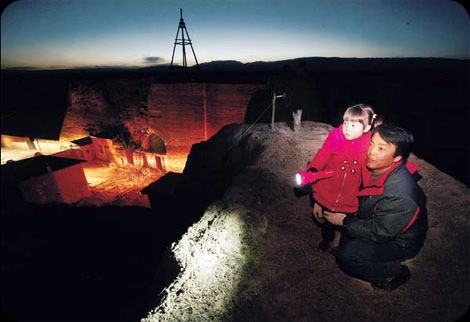 Two generations of a family in Northwest China's Ningxia Hui autonomous region have been keeping that spirit alive, by staying at a section of the Great Wall and fighting to keep it intact. The tower, where the Yangs of the Hui ethnic group reside, was once the South Gate of Xiamaguan. 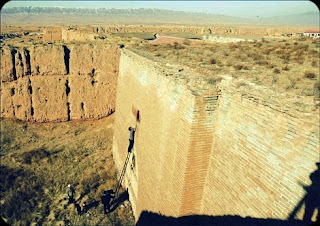 Xiamaguan, which means a fortification where military officers rested in ancient times, once had a city wall built with rammed earth and bricks, like parts of the Great Wall. 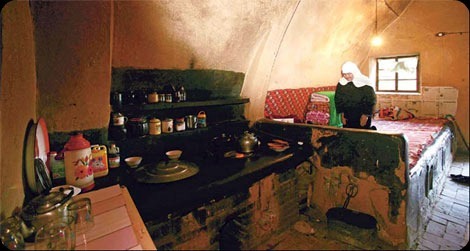 Yang Guoxing, his two daughters and his mother in their cave house at the foot of a tower of the ancient Xiamaguan city wall, which is part of the Great Wall. Aside from its ancient history, the Wall also stands as witness to a glorious moment in modern times. In the 1930s, Xiamaguan was the headquarters of a division of the Red Army, led by Xu Haidong, one of the generals who helped establish New China. 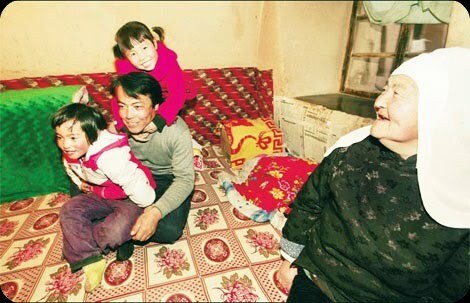 A devout Muslim, Yang's mother says her prayers, one of five times a day. Yang says this part of history would have meant a lot to his deceased father, as the man had great respect about revolutionaries. Squatting on the ancient city wall of Xiamaguan, Yang Guoxing and one of his daughters keep an eye on the wall his family has protected for two generations.